You might remember that not too long ago I made a trip to Marlborough, NH. While there I visited the awesome store Inkubus, that was made all the cooler for having supplies for making Day of the Dead sugar skulls. I said if I tried making one I would let you know how it went. Well, here we are! 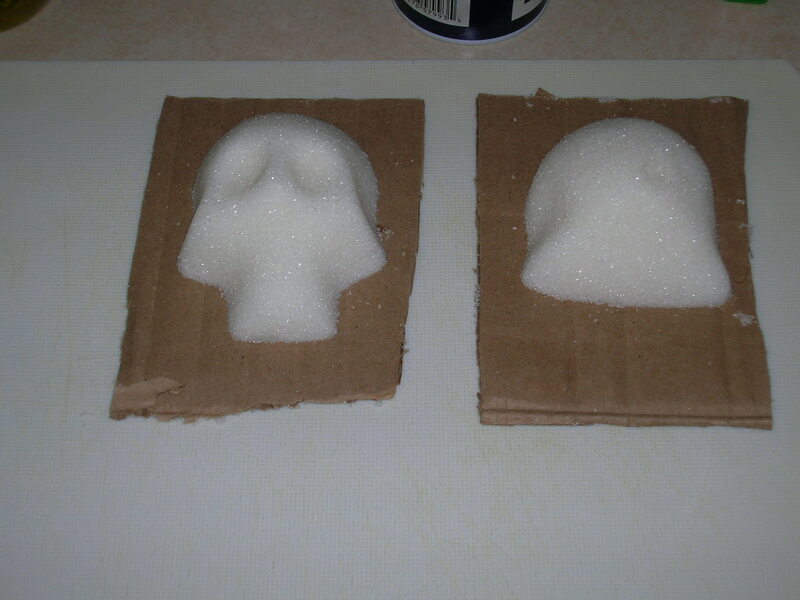 I’ve got to admit my absolute surprise because making sugar skulls wasn’t hard at all. Jim and I braced ourselves for the worst. 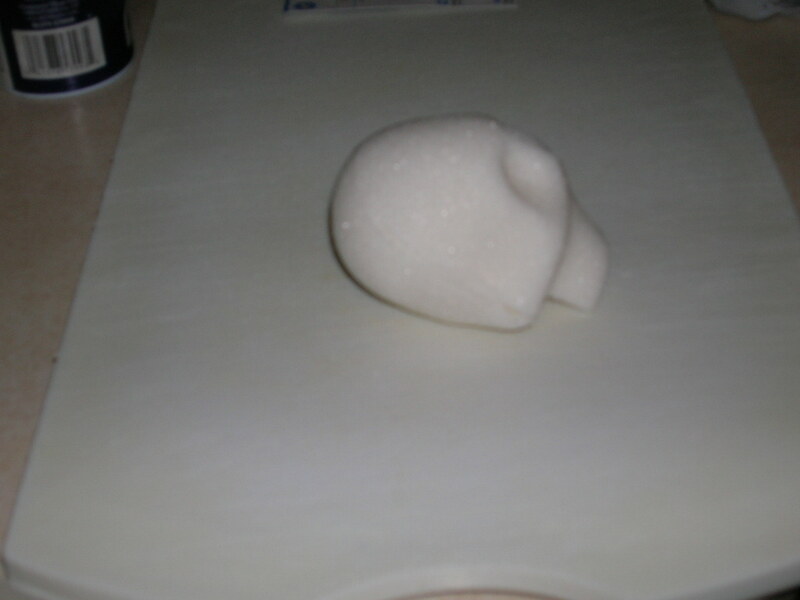 I even went to the www.MexicanSugarSkull.com website, since they’re company that makes the skull forms we were using, for additional tips. (By the way, their site is really great.) But once we started, we quickly realized that making the skulls was easy and fun. You make a mix of water, sugar, and meringue powder. You mix it with your hands and it feels like damp sand on the beach. It’s uncanny really. We pressed the mix into the forms, turned them out onto cardboard squares, and left them out overnight to dry. It was really hard to leave them alone while they dried. Jim and I kept hovering over the halves, wanting to poke them to see if they were drying. It was during this drying time that for some reason I decided our skull’s name was Stan. 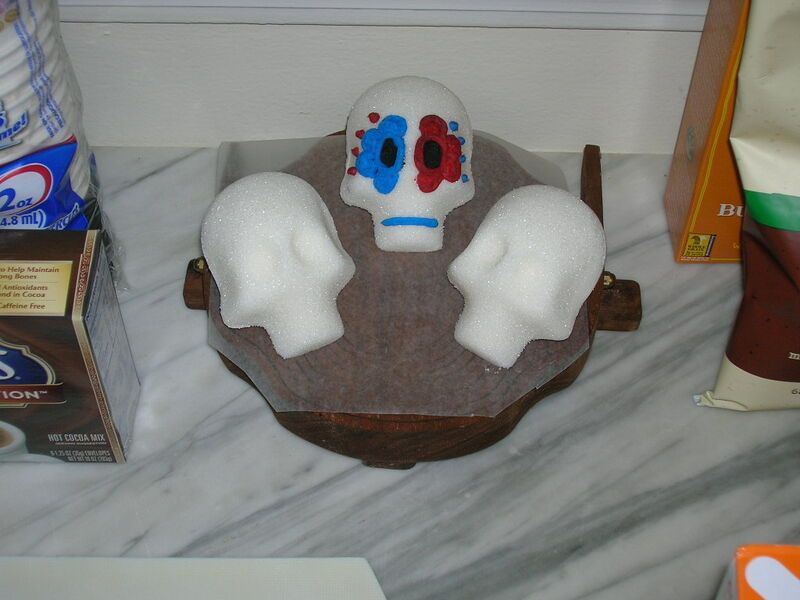 Now the instructions with the forms, and the sugar skull website, tell you to make your own royal icing to use on the skulls. Well, I’m a lazy girl so instead I bought a tube of white frosting and Jim used that to glue both halves of Stan into one skull. And now to decorate! Both Jim and I are not what you would call “craft oriented” so we just picked up a few tubes of frosting and a set of plastic decorating tips to screw on to decorate Stan. Needless to say, he is pretty basic looking, but not too bad. Traditionally there should be vertical stripes of frosting over Stan’s line of a mouth, but after doing the line I really liked the way it looked. It’s kind of like Stan is looking at you and saying, “Yep. I’m a sugar skull.” Decorating Stan was the most difficult part of the sugar skull making process since I’ve never really done dessert decoration before. Stan with two nameless brothers. Now that we’ve tried it, both Jim and I have the sugar skull “bug”. We’re coming up with all kinds of weird ideas of things to try. Who knows, perhaps sugar skulls will appear on the site again!